These 5 restaurants are there to carve their unforgettable tastes to your palate. 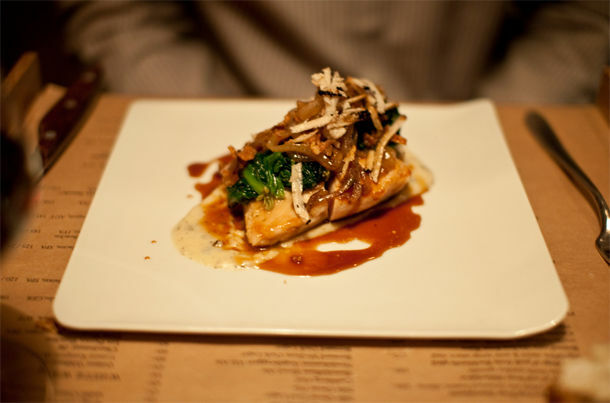 If you are ready to discover Europe's 5 best restaurants, read on! Frequent travelers take the advantage of being able to taste different dishes in different countries and dining in the best restaurants of the world. If you are open to new tastes as a frequent traveler and eating is your passion, there are thousands of dishes that you can try. Plus, you have the chance to eat a dish in more than one country and compare the tastes in different restaurants (this is actually one of the best things that I like doing) to create your own “best restaurants” list. To make things easier for you and to guide you for your next trips, I tried to create a list of 5 best restaurants in Europe. I know this list can be created in many different ways but let’s say this list includes my 5 most favorite restaurants in Europe. If you happen to pass by the cities that these great restaurants are located in, try to make it to dine in those restaurants. Believe me, they will offer you the best dining experience in your life. Probably the most popular one in this list, El Celler de Can Roca is managed by 3 brothers who are all experts in their fields. Joan Roca is responsible for the main dishes, Josep is responsible for the wines and Jordi, the youngest one is responsible for the desserts. The restaurant is located in Gerona, Spain and moved to its new place in 2007 and was awarded with 3 Michelin stars in 2010 (as we all know Michelin gives 3 stars at most). Catalunya area is where you can try the most delicious food in Spain. Their cuisine is special and is a bit different from Spain’s. So in El Celler de Can Roca, you can find these special dishes with excellent service and taste to be accompanied by the greatest wines in Spain. The interior design of the restaurant is terrific and the tables are located with perfect spaces in between. Their dishes that are cooked sous-vide are really worth trying because Joan Roca is the best chef in the world when it comes to this cooking technique. The cuisine they serve is defined as creative Catalan it’s full of surprises at every bite. The restaurant is closed on Mondays and Sundays and has seating capacity for only 45 people. So if you’re travelling to Spain and wish to dine in this magnificent restaurant, you can visit the official website of El Celler de Can Roca and make a reservation online. However, note that finding a place may be difficult as you can guess. If your favorite cuisine is Italian and you are open to creative cuisine, you may lose yourself in Massimo Bottura’s Osteria Francescana. 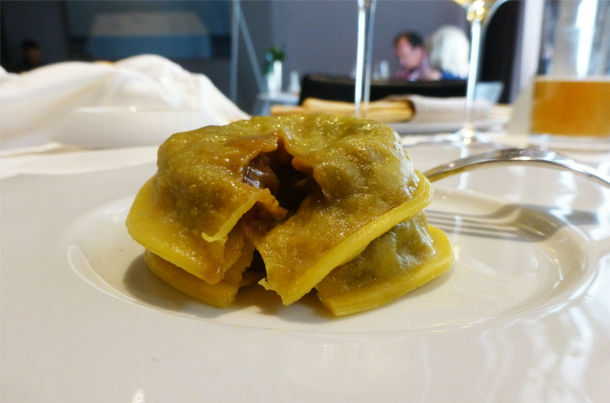 The restaurant is situated in Modena - that is located 50 km away from Bologna – and serves typical dishes of Italy such as tortellini to meat stews as well as the experimental dishes from creative Italian cuisine. Osteria Francescana has 3 Michelin stars but holds multiple personalities. It both serves tagliatelle with Bolognese and some fantastic experimental food at the same time. 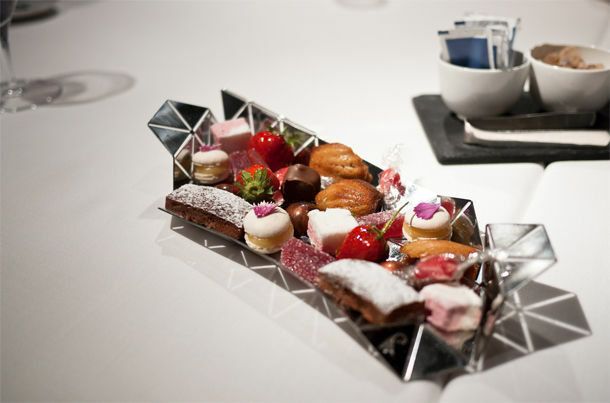 The chef, Massimo Bottura is highly talented - of course has worldwide reputation – and do wonders in his kitchen. Osteria Francescana is open from Monday to Saturday but doesn’t serve lunch on Saturdays. 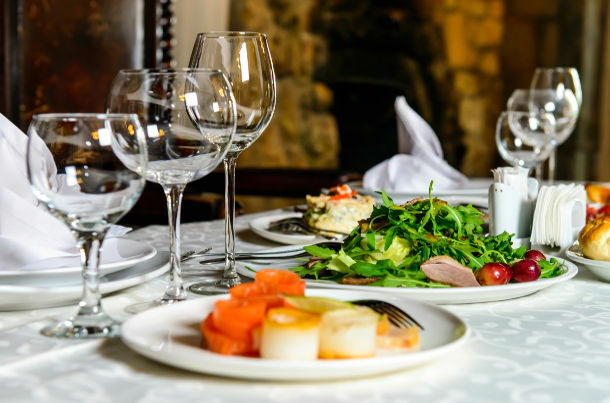 In the restaurant’s a la carte menu there are 3 sections such as “Traditions”, “Classics” and “Sensations” all of which includes really sensational dishes. For reservations, you visit the website of Osteria Francescana. Managed by the chef Pascal Barbot or and the manager Christophe Rohat, Astrance is a three-Michelin-stars restaurant located in Paris. This is one of the special restaurants that has only 25 seats and is open only from Tuesday to Friday. This being the case, being able to dine there is a bit difficult but when you manage to make it, you won’t easily forget it. Pascal Barbot, an internationally aware chef of Astrance, has worked also in Australia and South Pacific for years before returning to Paris. And now in Astrance he produces high-impact dishes by combining Asian flavors and cooking techniques with French cuisine. The restaurant has 3 different tasting menu which are menu Astrance (the most expensive one), the seasonal tasting menu (moderate), and the lunch menu (the cheapest one). 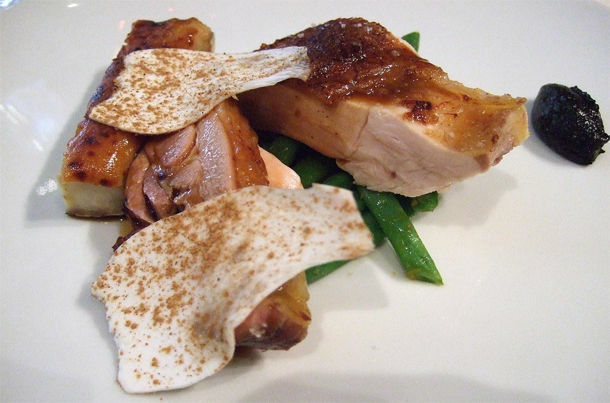 If you are interested in eating at Astrance, you’d better push the limits to make a reservation. Remember that the restaurant accepts reservations only by phone. The next best restaurant is from Sweden. The chef Mathias Dahlgren name its restaurant after himself. The restaurant is composed of 3 parts which are Matsalen, Matbaren and Matbordet. Matsalen is a modern gastronomic restaurant that is based on only the best fresh ingredients because as the chef Mathias Dahlgren says, natural produce and natural taste are essential for the natural cuisine. Matbaren is the bistro that offers medium-sized dishes. Matbordet means the dining table that offers a completely different experience in collaboration with you. 10 people can eat at Matbordet accompanied by various activities every day. For example if you manage to be there on Saturdays, a high-class brunch will be waiting for you and note that Mathias Dahlgren is open to new ideas from you for the activities around Matbordet. Mathias Dahlgren is located on the ground floor of the Grand Hotel. And remember, in Matbaren, the restaurant has always free seats around the bar so you try your chance to drop in anytime. For more information about the restaurant, please visit the website of Mathias Dahlgren. Located in Copenhagen, Denmark, Noma that is owned by its chef Rene Redzepi, is one of the most remarkable restaurant in the world. Although Denmark is not very popular for its cuisine, Rene Redzepi managed to spread its reputation like a wildfire. He turned an old warehouse into a restaurant and started to do magic in his kitchen. 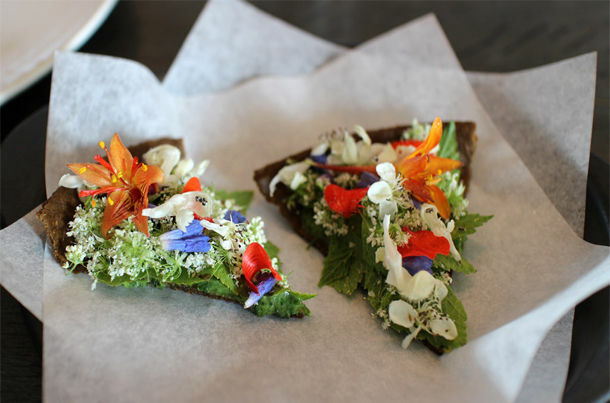 Noma offers only a tasting menu that is composed of mind-blowing dishes. In his restaurant, Rene Redzepi grows his own herbs in huge pots and never uses deep-freeze. Generally, he takes the advantage of the flavors of the herbs both for cooking and for the sauces. He prefers dehydrating instead of sous-vide which preserves the flavors of the food better and he likes smoked tastes. The presentations are also eye-catching and highly creative in Noma. To get the chance of eating at Noma, you should of course make reservations which can be a very challenging experience. Note that they accept reservations only after 24th of March for now. For further detailes, you can visit the website of Noma.